Choosing the ideal cruiser bike is an individual decision. Several factors go into choosing the right cruiser bike for you, including consideration of how and where you plan to use it as well as choosing a cruiser with the best features and the right size frame. we've focused on quality cheap cruiser bikes in the under $500 - $1000 range, but prices change all the time - the price you see listed on the product page is always the correct current price! There are several features to look in a cruiser bike that helps meet your individual needs, helps assure your safety and provides qualities that helps ensure a great ride. One of the standard features to consider when selecting a cruiser bike is the material of the bike frame. A variety of materials is used in the manufacture of cruiser bikes, including steel, aluminum, titanium and sometimes other materials. Although some other materials are potentially lighter, a cruiser frame made of steel offers outstanding durability. Another aspect of the frame to consider when purchasing your bruiser bike is the difference between the frame of a woman’s and a man’s cruiser. While the man’s cruiser bike has a tube going straight across to the top of the seat tube, the frame of a woman’s cruiser has a tube that dips lower than the tube on a man’s bike, with the tube dropping to the center or the bottom of the seat frame. Therefore, the design of the frame on a woman’s cruiser allows for lower mounting height. Single-speed cruiser bikes typically have the same, classic type of braking mechanism usually associated with cruisers. Riders simply push their foot backwards on the pedal to brake the bike, the same method used to brake a child’s bike. Today’s cruiser bikes are not the cruisers that many people likely grew up riding. Although some features are generally the same or similar, some styles of cruiser bikes feature multiple speeds. Multi-speed cruiser bikes have from three to ten gears, which allows for options to ride up hills, across steeper terrain or to ride on flat surfaces with greater speed options. Why are you buying a cruiser bike? While most people typically choose a cruiser bike for leisure riding, there are still considerations for the type of leisure riding you plan to do. The type of riding you plan to do is an important factor in choosing the ideal cruiser bike for you. Just as with other types of bikes, cruisers are manufactured with specific riding purposes in mind. 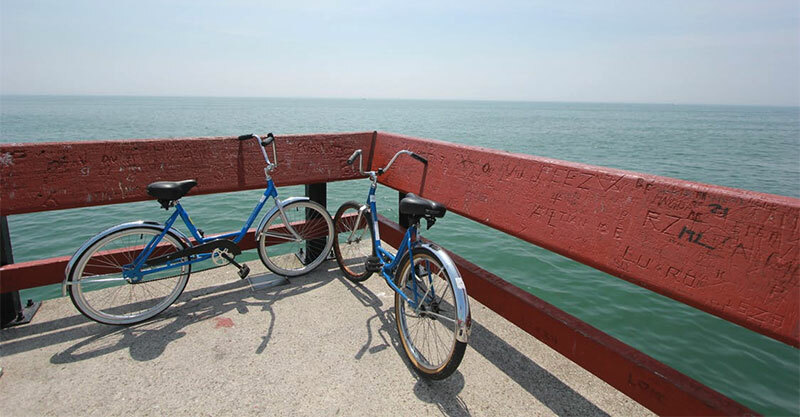 Consider whether you plan to ride your cruiser around the neighborhood for exercise, if you will regularly ride at the beach or perhaps a park or if you plan to join a group of friends exploring sites and locations suitable for riding cruiser bikes. New cruiser bike owners often start out by purchasing a classic single-speed cruiser. While some cruiser bike riders choose to keep riding the classic style, others gain the confidence to engage in cruiser bike riding on a level much the same as enjoyed by mountain bike riders or riders of some other types of bikes. Do not be alarmed or feel overwhelmed when you go shopping for your cruiser and realize that there is a wide variety of styles of cruiser bikes available. Today, the array of styles of cruisers allow for a truly personalized feel. People often choose a cruiser bike that expresses their own individuality and personality while others buy a specific style of cruiser to make a statement. Just as the various brands manufacture their cruiser bikes with different features, different brands also offer some differences in styles. While the different brands compete in regards to features and style, rider safety is not compromised. You simply choose a bike that best meets your individuals style and needs. When shopping for your cruiser bike you will likely discover many different styles of frames within the cruiser category. Although cruiser bike manufacturers still make the classic cruiser style with a wide saddle-style seat and classic frame style, manufacturers realize they have to keep ahead of the competition. Therefore, today they offer many stylish details and options. Although all cruiser bikes are still manufactured for relaxation and a comfortable ride, you now have the option to choose a low-rider style or perhaps you prefer a chopper style frame. If you prefer your cruiser bike in a color other than classic bike colors, add your stylish touch to your cruiser with what eBay calls “Hot rod paint jobs.” Brands such as Firmstrong, Micargi and Sixthreezero are examples of brands who recognize that style features such as the ability to choose from a variety of colors as important to cruiser bike owners. You can further add your own sense of style to your cruiser by purchasing optional accessories that easily attach to a cruiser bike. When considering a cruiser bike purchase, your budget is possibly a factor. While cruiser bikes are very affordable, you do not want purchase a cruiser bike simply because it is the least expensive one in the store. In “A Beginner’s Guide to Buying a Bike,” The Orlando Sentinel Florida contributor Linda Shrieves suggests that while people sometimes choose to shop at big-box style stores or even purchase a used bike, bike experts warn that you get what you pay for. Never sacrifice quality when choosing your bike. Shop for your cruiser bike at a quality shop where you can get the assistance you need in purchasing a quality bike at a price that fits within your budget. If you purchase a used bike or the least expensive cruiser at the big box store, you run the risk of it not lasting. Consumer Reports reveals, “Mass-market bikes have cheaper construction than higher-priced bikes,” and suggests, “You’re not likely to get a great fit.” Having to purchase another cruiser bike in a year or two is potentially significantly more expensive than purchasing a high-quality cruiser when making your first purchase. You can look at a cruiser bike and love the overall features and look of it. However, how do you know if it truly is the best choice for you? Opt to take the cruiser for a “Test drive.” You most likely would not just hop in the driver’s seat of a new car at a dealership and decide to buy it without taking the vehicle for a test drive, so do not purchase a cruiser bike without taking it for a short test drive. When you test drive the bike, consider whether it provides the feel that you want, if you can easily maneuver the cruiser, if everything seems to work properly. One other feature to consider when choosing to test drive a cruiser bike is whether the bike is the proper size for you. When shopping for a cruiser bike, choosing the right size is a crucial step. Whether you are a novice at riding a cruiser or you have been riding cruiser bikes for years, you cannot just walk into the bike shop and purchase a new cruiser bike without making sure you purchase the right size. One important consideration is that simply choosing a man’s bike or a woman’s cruiser is not the only factor in deciding the ideal size for you. While standard-type cruiser bikes typically feature 26-inch diameter wheels, cruiser bike size can potentially differ from one manufacturer to another. Some considerations that go into determining the correct size cruiser bike is height, weight and even health and age. Bikes featuring shorter seat tube height are potentially better options for individuals who are older riders, those who have need for greater legroom and for heavier cruiser bike riders. Kids and novice riders may opt for a smaller size cruiser bike. Choosing the right size cruiser is important for more than just your comfort. Choosing the right size cruiser bike is critical for your safety. Although the cruiser bike is manufactured for leisure riding, never assume that you can forget about bicycle safety. When you purchase your cruiser, purchase a good bike helmet at the same time. If you have never worn a bike helmet before, ask the salesperson to assist you in finding a good helmet that fits properly. As a novice, you should also consider gloves that offer protection as you grip the handlebars or in case you take a tumble while riding your cruiser bike. Water bottles easily attach to bikes, including cruisers. If your bike does not already have one, ask for help choosing a water bottle suitable for riding. Always ride with a water bottle. Another safety measure to consider is wearing glasses to protect your eyes from dust, sand, pebbles or insects. Always check your cruiser bike before each ride. Check the brakes and tires, make sure all parts of the cruiser and the accessories are securely attached and properly in place.